Last year the Buffalo Bills finished the season with a 9-7 record and earned a spot in the Playoffs for the first time in 17 years. This year, with the Bills going through a rebuilding phase, we are not going to see the Playoffs or even close to a 9-7 record. 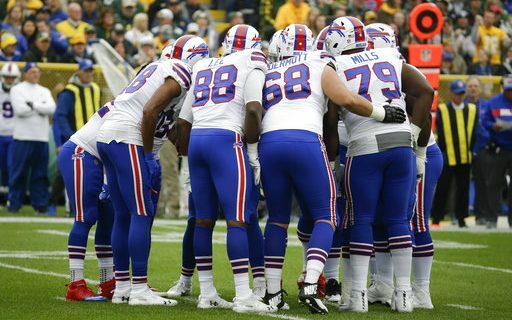 I felt going into yesterday’s game that the Bills would be lucky to win five games on the year. That said, the Bills win over Tennessee was a pleasant surprise as the Titans looked to be one of the better clubs in the AFC South. The Bills have won two of their last three games and both wins have been over clubs that were heavily favored to beat the Bills. The first win was at Minnesota, who many felt would easily win the NFC North. That game may have been the most impressive win by the Bills in years. Yesterday at New Era Field, the Bills won because of outstanding defensive play. The Bills defense held the Titans to just 221 yards of total offense. Quarterback Marcus Mariota threw for only 121 yards and had an interception. The Titans total time of possession was only 26 minutes. Yes, the Bills offense struggled also and was out gained Tennessee by a mere two yards. In fairness though, the Bills game plan was to run and use clock which they were able to do. Bills rookie quarterback Josh Allen was only 10 of 20 on the day for just 79 yards, hardly a winning performance. But the when a team only throws the ball when they have to, that’s what happens. Allen again struggles with his accuracy and with making quick decisions. This is all part of the growing pains he is going through as a rookie. Until he plays a number of games and is able to see various type defenses and blitz combinations this is what we can expect. Don’t forget, Allen played in the Mountain West Conference, which is a step down from Power -5 level football and the Conference is not noted for its defensive play. Allen’s adjustment to the NFL and the speed of the NFL game will be a work in progress. Trying to compare him to other rookie quarterbacks is almost useless. 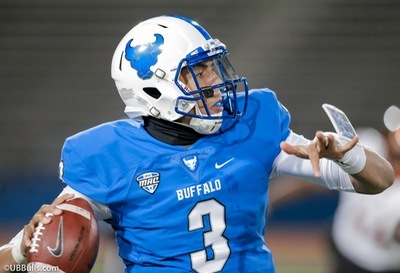 The Bills didn’t draft Allen for what he is going to do this year, but rather what he will become in the future. His offensive supporting cast is among the worst in the NFL. Getting back to the game, what we saw yesterday is basically what we are going to see in the near future. It was similar in Chicago last year when Mitch Trubisky took over as a rookie quarterback. The offensive game plans were watered down and Trubisky was asked not to lose game rather than win them. Until Josh Allen becomes more comfortable as an NFL player expect to see what we saw yesterday. Who cares if the game is boring, a win is a win and it was a win over a quality opponent. If the defense can play like they did yesterday for a majority of the season, the Bills will have a chance. Not only did the D hold Tennessee to just 221 yards but they pressured Mariota all afternoon and also forced three Tennessee turnovers. An opponent can’t score if they don’t have the ball. Next Sunday the Bills face the Houston Texans in Houston. This is going to be a rough game. Houston is coming off an overtime win over Dallas and they have as strong a defense as the Bills have faced this year. They also have a hot young quarterback who has thrown for over 1600 yards already in 2018. Yes, this game could get ugly but if the Bills defense plays like they did yesterday the game could be close. Put the Bills in that type of situation and they have a chance.